Hello Friends! 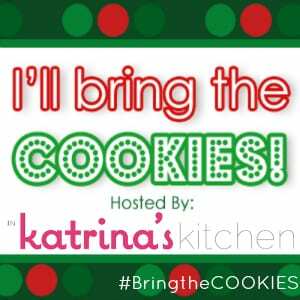 I am Happy to be sharing these thumbprint snowman cookies over at my friend's blog, In Katrina's Kitchen as part of her annual event, "I'll Bring the Cookies"! To get all the details and tutorial, be sure and click HERE to head over to my post on her fabulous blog and check it out. Before you do, don't forget to enter the fabulous giveaway, below! So cute! I'll definitely be making these! that's soooo cute!! I love snowmen!! These cookies are adorable! Definitely want to add these to my cookie gift plates this Christmas! These are really cute. I'm going to try them with my grandson! My granddaughter will love these and I will be making them. I love the giveaway too! Those are adorable! A must make for Christmas this year! My little boy got so excited when he saw these cookies, he says we 'HAVE' to make them! These are so cute! My girls will love making them! These cookies are super cute. thank you for sharing the cute snowmen cookies..So sweet looking..They look fun to make.. 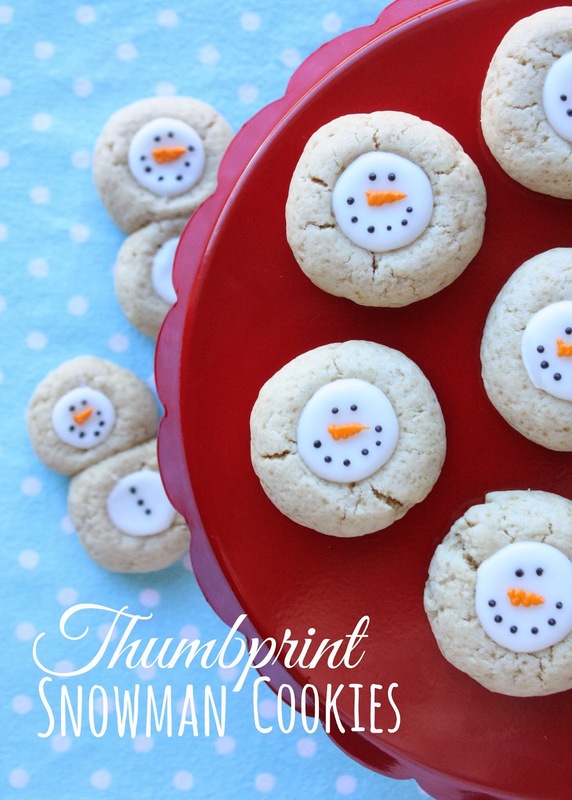 I love the snowman cookies - what a cute idea and they could made for any winter event. Yummy snowmen says my little boy! I love thumbprint cookies and I love how you updated this old favourite to an adorable holiday cookie. So cute! Loooove these snowmen! Can't wait to try. Absolutely adorable Sue! You are amazing. I'm off to check them out over on Katrina's blog. Totally clever and absolutely adorable! Can't wait to make these for my kids. These are too cute!! Can't wait to try them!! Cute! never thought of that! These are sooo adorable! I might have to make these for my cookie swap this Friday!!! LOVE! These cookies are amazing! I have to try them. I'm going to try these today! These are just adorable! Such tiny, tiny details! Plan on making these today! So cute. How many does it yield? It makes about two dozen. Have fun! These are so cute...my little girl would love them. Happy Holidays. Those thumb print cookies look so cute! If it weren't so close to my family's Christmas I would so whip up a batch. I will be bookmarking this page for next year though. The Cutest Christmas Cookie Ever! Love Them! Love the snowman face! Too cute! Super cute! Can't wait to try them! LOVE the Santa cookies! Am marking these for next year. Happy Holidays! I made these a few years ago and they were extremely dry. So, the following year I made my peanut butter blossom recipe but didn't put in as much peanut butter and all white sugar (left out the brown sugar). Instead of a thumbprint, I baked them and pushed a white chocolate disk (rounded side down) into them when I took them out of the oven. I waited until they cooled and then used edible markers to make the snowman faces. Not only delicious, but so cute!! They are now part of my yearly cookies (I make 20 different kinds). Very cute. I want to make these for our church open house. How many cookies does the recipe make? Looking adorable and damn cute.It is worth to try. Definitely I am going to try this. These are so cute.